Touch introduces physicality to designs that were once strictly virtual, and puts forth a new test: How does this design feel in the hand? Josh Clark guides you through the touchscreen frontier. Learn about ergonomic demands (and rules of thumb), layout and sizing for all gadgets, an emerging gestural toolkit, and tactics to speed up interactions and keep gestures discoverable. 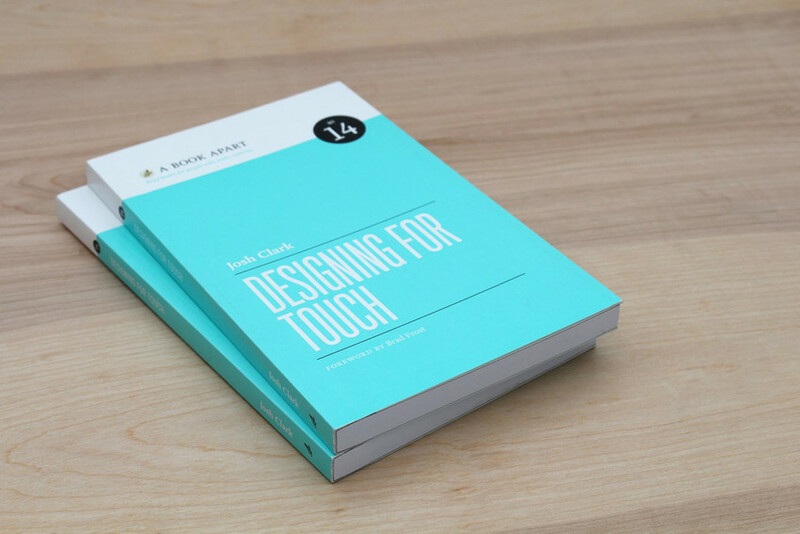 Get the know-how to design for interfaces that let you touch—stretch, crumple, drag, flick—information itself. It’s in your hands. 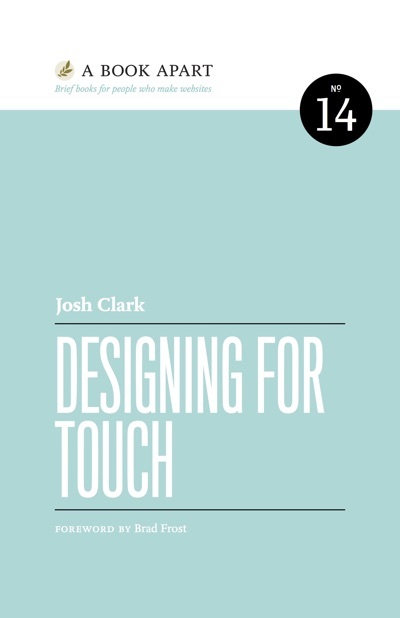 Device guru Josh’s Designing for Touch is the in-depth guide designers have waited for, to help them truly understand the subtle dance between human touch and programmed interface. Essential knowledge for designing the interactions of the future. Touchscreens create a fresh physical interface to digital systems—are you ready? Josh offers not only guidance but also inspiration for building new, more intuitive ways to interact with information.